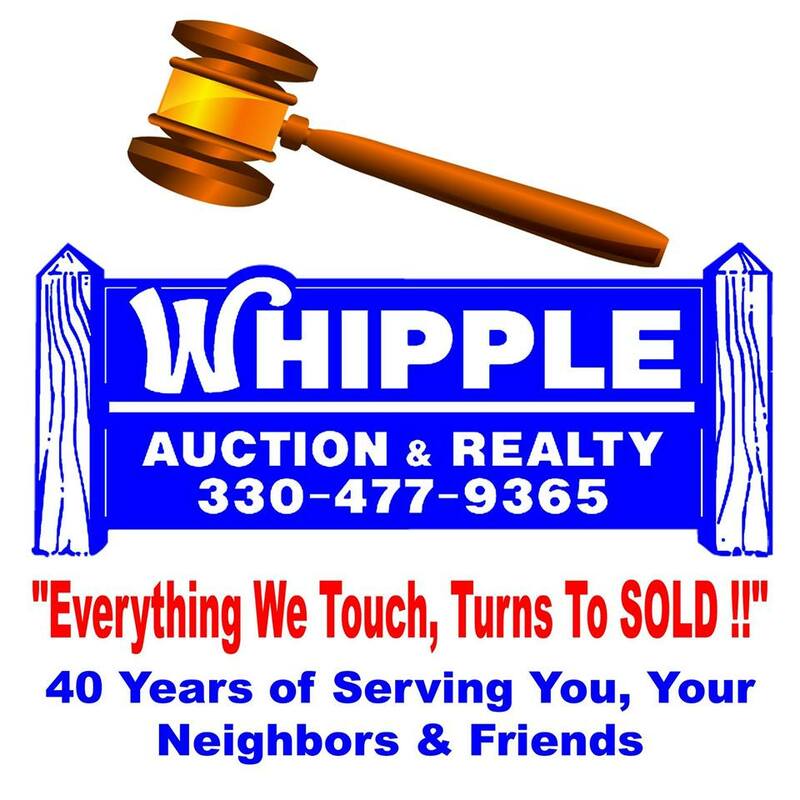 watch for Whipple Auction Signs. Vinyl Sided 2 story home w/living room & dining room, full bath & kitchen w/electric range, upstairs w/2 bedrooms & full bath, attic storage, full basement w/hi-efficiency FA gas furnace & dryer, newer gas hot water heater, public utilities, large fenced back yard w/shade & apple trees, detached single car garage w/alley access. Parcel #237677. Lot 40' x 179'. Present taxes only $339 per half. Located near Aultman Hospital. Great investment opportunity!! Potential rental income!! Open for viewing one hour prior to bidding. Check this one out!! Real Estate Terms: 25% down auction day, balance due at closing. A 10% Buyers Premium will be added to the highest bid to establish the purchase price. Any desired inspections must be made prior to bidding. All information contained herein was derived from sources believed to be correct.